I've gotten so many questions recently about whether to use the Annie Sloan wax or a Poly for a final finish that I thought I'd write another post to convince you that either one is a good choice. Soft wax is a great option is you want a rubbed look finish to your project. It is a great sealer and easy to use. I pretty much use a rag with a little bit out of the can and rub it into my paint, let dry and then buff. You can get a smooth shiny finish in no time. Wax creates a hand rubbed or brushed finish so that is the look that you are going to see. Is that what you want? Hand rubbed vs a completely even top coat..... there is a difference. 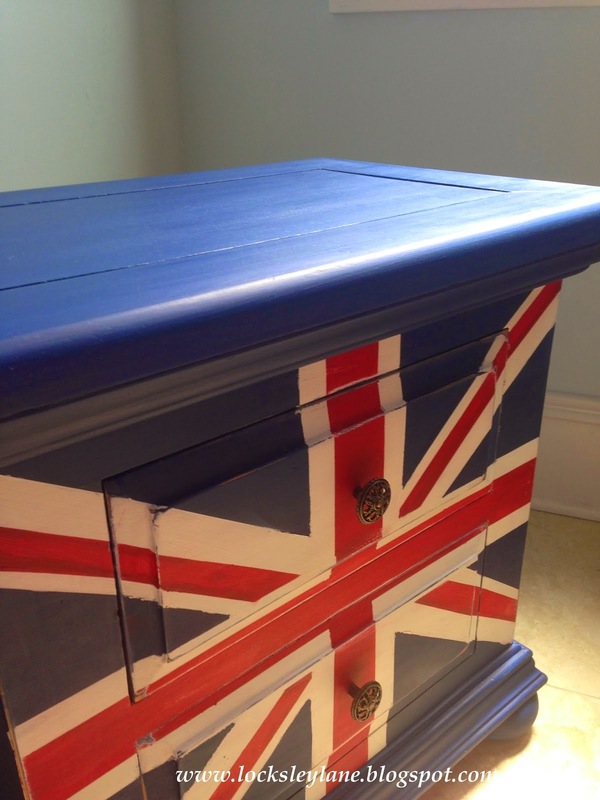 The union jack table has a waxed finish. I love how the top has that rubbed look. I wanted this piece to look old, with a rubbed finish. 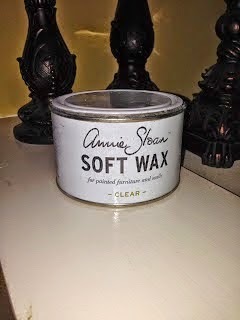 If you watch Annie Sloan and her videos about wax application, there isn't a big science to how she does it. She is thinking vintage, old and refinished. She is not worrying about the exact way to apply it. She rubs it on and buffs it off. I think everyone is over thinking this a bit. And, many of you want a smoother finish and aren't liking the rubbed part of it or had a different finished product in mind. If that is the case, try something else. 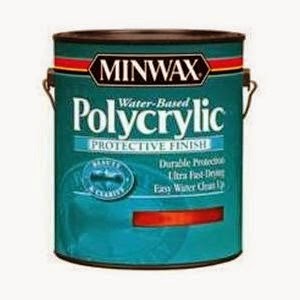 This is a water based polycrylic that I use a foam brush to apply to certain pieces. Why would I use this? If I want a completely even finish with zero streaking this is my go to finish. 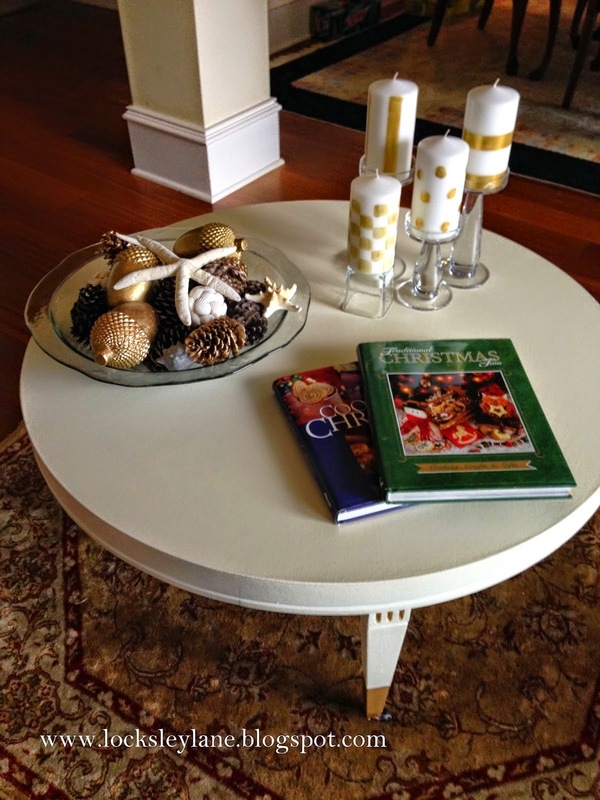 If I have a piece that will see high traffic use, like a kitchen table or coffee table, I would opt for a poly just because the finish is harder and more protective. If I have a piece where the sheen will be very noticeable, then I might opt for a poly.